Set aside arguments for or against the safety of genetically modified, or GM, foods. Consider their impact on property rights. I recently saw a report on how a farmer that collected his own seeds ran into trouble when a herbicide-resistant strain of canola started growing on his property. He couldn’t get rid of it with normal herbicides and sued Monsanto for the damages caused to his crops. Monsanto counter-sued the farmer for growing its canola without a license. Monsanto won both of its cases. While the farmer is appealing the case, he’s outclassed in terms of what he can do legally. Other farmers that maintain their own seed banks have been sued by Monsanto when some of Monsanto’s species started to grow on their property. The farmers never intentionally planted the crops, but courts have nevertheless held them liable for violating Monsanto’s property rights. This is a travesty. Leave the benefit or harm of GM crops aside: no amount of benefit could justify the way Monsanto is essentially polluting the countryside and then using that pollution to take down farmers not using its products. Simple laws that should keep plundering such as this from happening have been easily perverted by Monsanto’s legal teams. Yes, Monsanto’s got to make a profit to stay in business, but for it to destroy rights in the name of profits is inexcusable. This entry was posted in Economics, US Government on 08/31/2010 by deanwebb. I think it’s a strong possibility. I’m not happy about it, because I think she’s proof stupidity exists. All the same, this is a discussion. What factors will contribute to Palin winning in 2012? What factors will hinder her chances? Discuss. This entry was posted in US Government on 08/30/2010 by deanwebb. Mount Sinabung is erupting, right after I have a Geography lesson about the “Ring of Fire” in which I mentioned the most remarkable area for volcanoes has been the western part of Indonesia. Now this. I think I’ll skip a discussion of major earthquakes in light of my new-found powers. This entry was posted in World Hellhole Report on 08/30/2010 by deanwebb. This entry was posted in Economics on 08/29/2010 by deanwebb. Do I Miss President Bush? I saw a bumper sticker today that had a picture of Bush on it with the caption, “Miss me?” I decided to think about that. As I thought, I started watching 9/11 – Press for Truth, a documentary about the lack of investigation into the terrorist attacks of 11 September 2001. The short answer is, “no.” I do not miss a plunderer, not one bit. Bush first wanted to appoint Henry Kissinger to investigate. Kissinger’s clients included the Bin Laden family. When the New Jersey Widows revealed that information, he resigned from his position. When the New Jersey Widows revealed that the 9/11 investigation committee included a close confidant of Condoleeza Rice and a member of Bush’s national security team, nothing came of that. By nothing, I refer to the ultimate value of the report. Bush did not want anyone to know about the attacks. I won’t make a wild accusation against Bush. I’ll make a well-founded one. He used the 9/11 attacks to justify an already-planned invasion of Afghanistan and then went on to lie his way into getting the US to invade Iraq. I have a strong suspicion he also knew the attacks were coming and where they would hit. Cheney, in DC, got evacuated immediately upon receiving news of the attacks. Bush, in Florida, stayed put, even though there had been an assassination attempt against him the night before. That tells me he knew Florida wasn’t on the list of targets. The US made sure to invade Afghanistan just before the beginning of the opium-growing season. Since Clinton had forced the Taliban to ban opium growing, the people of Afghanistan were ready to switch governments so they could get back to the drugs trade. Now Afghanistan is producing opium and heroin in record amounts, one of the biggest opium growers there is the brother of President Karzai, and the Taliban have regenerated their power in the region. As Bush prepared to invade Iraq, they trotted out Ahmed Chalabi to explain to the USA how eager the Iraqis were to have us go in there. It later turned out that Chalabi was an Iranian spy with a mission to get the US to do what the Iranians couldn’t: get rid of Saddam Hussein. In the wake of such a move, the Iranians knew that the resulting Iraq would eventually be an ally of theirs, not the US. Bush ran up the national debt to truly massive levels, and for what? He enriched a few men at the expense of a nation. Bush was a plunderer, a cheat, and a liar. We have the evidence to prove it beyond any reasonable doubt. No, I do not miss President Bush. This entry was posted in US Government, World Hellhole Report on 08/28/2010 by deanwebb. Most of us in the USA are familiar with Godzilla, the monster movie from 1954 in which Raymond Burr witnesses the destruction of Tokyo by a massive sea monster. That movie, compared to other Godzilla movies, has a darker edge to it and has long been a guilty pleasure of mine. Even though I know it was a chopped-up version of the original Japanese film, I like it. 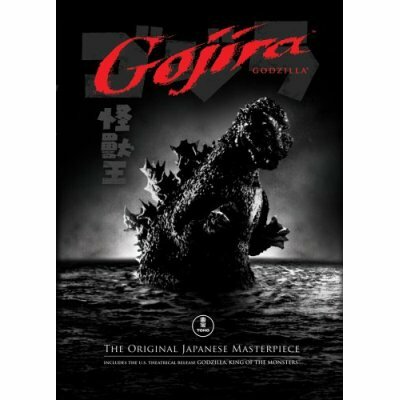 Enter Gojira, the original Japanese film, now available on DVD. It was one of three smash hits for Toho in 1954, along with Musashi Miyamoto and The Seven Samurai. Like the other two, Gojira was no lightweight in the script department. I’ve just finished watching it and I’m stunned at how powerful an anti-nuclear weapons film it was. Much of the anti-nuclear message was cropped from the USA release. In this one, we see casualty wards, crying children, and shrouds pulled over those that did not make it. Doctors watch helplessly as they see Geiger counters go off the scale when they check survivors for radiation. The makers of Gojira wanted to produce a strong antiwar movie. They had survived the firebombings of World War Two and some had also witnessed firsthand the destruction of Hiroshima and Nagasaki. In their Gojira, Tokyo is destroyed by fire for the second time in ten years and we have chances to bond with the people of Tokyo, only to see the monster Gojira make them casualties of his wrath. The destruction of Tokyo is not mindless: it is purposeful, and terrible. As I watched Gojira, I considered it to be the first anime film. Parts of it are animated and the premise certainly fits with the mature tradition of Japanese animated arts. If one suspends disbelief around the actor in the monster suit – which isn’t campy in this version – one sees the potential for what could have been an epic anime feature. Given today’s technology, Gojira could be redone with satisfyingly realistic special effects. But in the hands of a Hollywood team, the deeper themes of the film would be lost. At its heart, Gojira is a true protest film. The monster Gojira himself is something out of the Shinto world, a force of nature turning on a humanity that forgot its own bond with the world. In Gojira, I saw the beginnings of some of Hiyao Miyazaki’s work, especially his films Nausicaä of the Valley of Wind and Mononoke Hime (Princess Mononoke). Parts of the film also came uncomfortably close to Grave of the Fireflies, the anime that deals with the firebombing of Tokyo in May, 1945. The film is not light entertainment. It is heart-wrenching and makes one ponder about man’s inability to turn away from violence. Gojira is not a metaphor for nuclear destruction – he is nuclear destruction. The prophecy at the end of the film that continued testing would create a new Gojira has come to pass. In the 56 years since the film’s release, we have seen new Gojiras arise in the form of unstable nations with nuclear powers, such as North Korea and Pakistan, as well as in the spectre of a possible terrorist-spawned nuclear attack. Like the victims in Gojira, we stand helplessly, unable to truly halt a calamity, should it visit us. Perhaps we should be more humble in our ways, lest nature take on an aspect of terror and provide us with a nightmare designed to destroy the proud. This entry was posted in Ze Rest of Ze Ztuffm on 08/23/2010 by deanwebb. The United States’ border with Mexico hasn’t always been an area of national concern. Back in the 1920s, the US Border Patrol was created to halt bootleggers bringing illegal liquor from Canada. Now, the Border Patrol has turned its attentions to the US-Mexico border. Why did this happen? This entry was posted in World Hellhole Report on 08/21/2010 by deanwebb. This entry was posted in Economics, US Government on 08/21/2010 by deanwebb. It is the nature of many men to ignore warnings because they want to maintain the luxury of living in a way that denies truth. Rich men are not only able to pay enough to live in that way, but to hire others to share their delusions. This entry was posted in World Hellhole Report on 08/10/2010 by deanwebb. Found this at Half-Price Books for ten bucks. 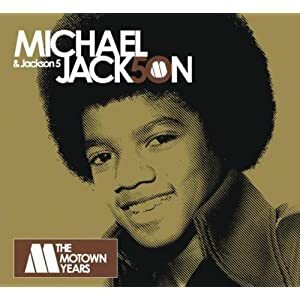 This is a real treasure: 3 CDs, 50 songs, all of them with Michael Jackson putting his passion for the music into every note he sings. The other four Jacksons aren’t too shabby, but you can really hear the magic of MJ’s talent shining bright. Thomas Carlyle taught that all famous men are, at the end of the day, just men. And yet, they can still be capable of some amazing things. Right now, I want to remember Michael Jackson for the gift of music that no one can deny he gave to us all. This entry was posted in Reason to Live on 08/09/2010 by deanwebb.